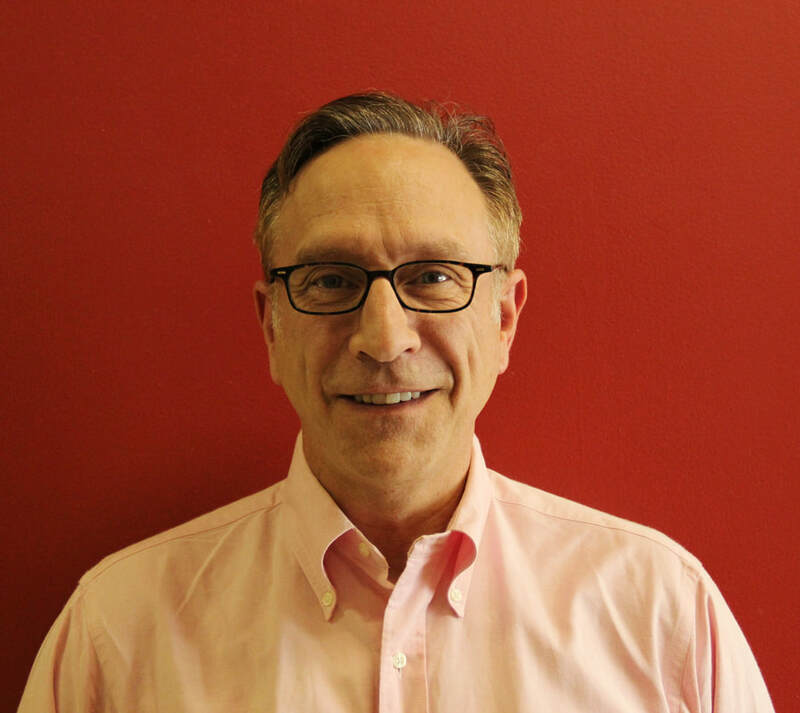 ChiME’s piano faculty is committed to providing high-quality instruction in a nurturing environment. We accept students of all levels, from beginners to advanced, 4 years and up. We offer instruction via the Suzuki method as well as a more traditional approach, where applicable. We match students with the right teacher for their age, personality, and learning style. All teachers employ an individual approach that meets the specific needs of each student while providing a solid foundation in proper piano technique and a strong sense of musicianship. The repertoire we cover encompasses many historical periods and genres. Our teachers work with each student to find motivation in the kind of music they enjoy listening to and playing. Parents are an essential part of the process and are very involved in lessons and home practice. A strong technical and musical foundation gained through piano lessons at ChiME is a wonderful starting point to further exploration of many directions in music, from solo playing to chamber music to improvisation. ﻿﻿ChiME piano students participate in private lessons and Piano Department Classes (the class is required for Suzuki students up to Book 2). Beginning students under 7 years old enroll in the Suzuki program. For older beginners, the course of study and method used will be decided upon by individual instructors before lessons start. Chamber music opportunities and accompanying classes are available to more advanced students. 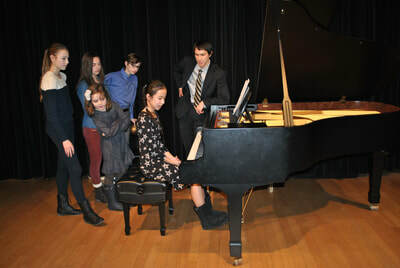 Throughout the year, piano students participate in masterclasses, recitals, and department performances. 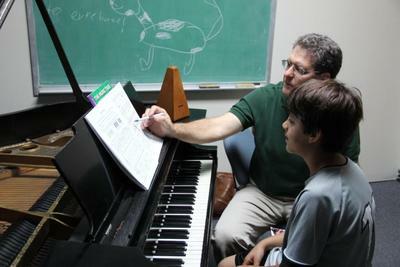 Beginning to intermediate piano students participate in a 60-minute weekly Department Class, which integrates fundamental musicianship concepts into instrument study, providing a well-rounded musical education. 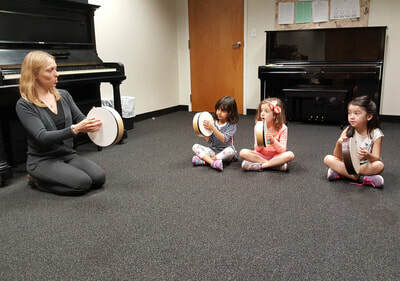 The teaching approach is steeped in the Suzuki and Orff philosophies, in which the experience precedes cognitive understanding of concepts, and students learn through play and performance. Some sessions are used for large-group opportunities, including masterclasses or big group rehearsals. For more information about Department Classes please go to the Instrumental Overview page. Make piano lessons at ChiME the beginning of a lifelong musical adventure!